We are working on getting leafly more accurate but while we do be sure to ask about pricing/availabilty/percentages before you buy!! *** We are constantly updating our systems to give you a more accurate online viewing experience so there will be some errors and false information on the strain guide please bare with us while we work hard to get things back in order. 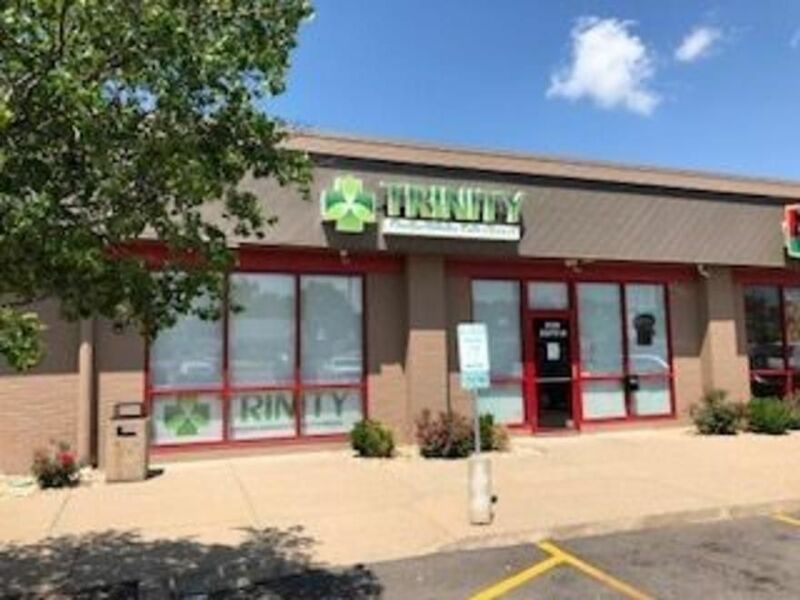 We will send out an email and update once things are back up and running smoothly*** Trinity Compassionate Care Centers is a state licensed dispensary located conveniently on University Street in Peoria, Illinois. Our mission is provide the best quality medicine, but also the best quality patient services! Our staff is very knowledgeable on cannabis medicine and very eager to help you find your way to relief!